Located on the beach in Sanur, Bali. Pushpapuri is a balinese villa in Indonesia. Located on the beach in Sira Beach, Lombok. Villa Sapi is a balinese villa in Indonesia. Located on the beach in Tandjung Peninsula, Lombok. Anandita is a balinese villa in Indonesia. Located on the beach in Canggu, Bali. 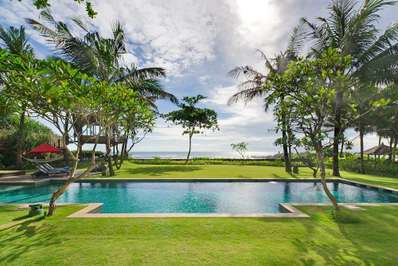 Villa Sound of The Sea is a balinese villa in Indonesia. Located on the beach in Tabanan, Bali. Kailasha is a balinese villa in Indonesia. Located on the beach in Lebih Beach, Bali. Villa Puri Nirwana is a balinese villa in Indonesia. Located on the beach in Tandjung Peninsula, Lombok. 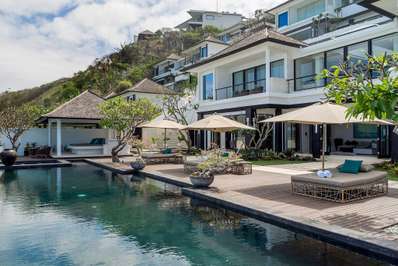 Seseh Beach Villa II is a balinese villa in Indonesia. Located on the beach in Tandjung Peninsula, Lombok. Mutiara Beach Villa is a balinese villa in Indonesia. Located on the beach in Nusa Dua, Bali. 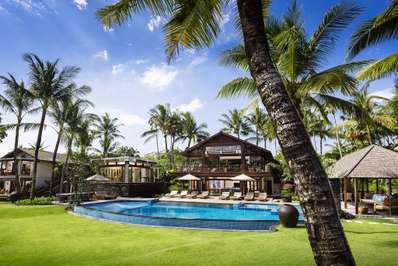 Villa Grand Cliff Nusa Dua is a contemporary villa in Indonesia. Located on the beach in Candidasa, Bali. Villa Tirta Nila is a balinese villa in Indonesia. Located on the beach in Sanur, Bali. 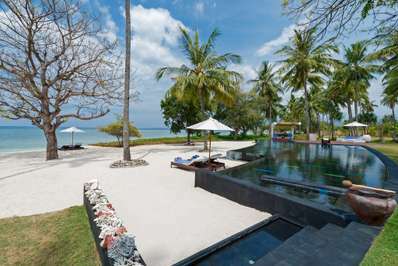 Villa Cemara is a thai-style villa in Indonesia. Located on the beach in Cemagi, Bali. Maridadi is a balinese villa in Indonesia. Located on the beach in Cemagi, Bali. Semarapura is a balinese villa in Indonesia. Located on the beach in Tandjung Peninsula, Lombok. Sepoi Sepoi is a balinese villa in Indonesia. Located on the beach in Canggu, Bali. Villa Ambra is a balinese villa in Indonesia. Located on the beach in Seminyak, Bali. Noku Beach House is a balinese villa in Indonesia. Located on the beach in Canggu, Bali. Arnalaya Beach House is a tropical villa in Indonesia. Located on the beach in Sanur, Bali. Majapahit - Villa Nataraja is a balinese villa in Indonesia. Eats & Retreats features a curated portfolio of Indonesia private luxury villas on the beach with wifi, private pool to rent for friends, families & large group holidays. We guarantee the best price and provide book-now service.